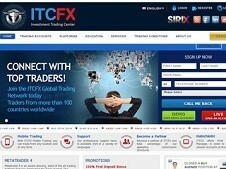 November 19, 2013: Add a listing for ITCFX. I invested 85000 usd with ITCFX, basically all my pension of 20years +. I asked for withdrawal, the are ignoring me, their phones keep on ringing, How can we stop these dirty thieves?